It is not easy to single out one thing but here is one that is high on my list. I am a firm believer in survival of souls after the death of bodies and reincarnation of souls, so all of my fiction and non-fiction books contain reincarnation events or information which I hope will encourage readers to do some investigation of their own on these topics. I have been amazed as well as pleased by the number of individuals who have contacted me to share their personal experiences. Definitely a pantser. I do not think I have had one book end up where I intended it to in the beginning before I got rolling. I dabbled at it a little earlier but I was first published in 2010. I am a retired high school teacher. I write under my real name as I am proud of what I write about. I do get ideas from other people concerning past lives for my fictional characters and I have also snuck a number of my previous incarnations into my novels. I am not as crazy as you might think! I receive messages from the other side including advice on what to add to my stories. How do your family and/or friends feel about your books or writing venture in general? Many of them think along the same lines as I do so most love my stories. The titles seem to find me or become obvious during the story. I have done thousands of Sudoku puzzles. Apples. They keep the Doctor away! I would love to visit the sites of the early lost civilizations like Machu Picchu, the pyramids, Stonehenge, etc. 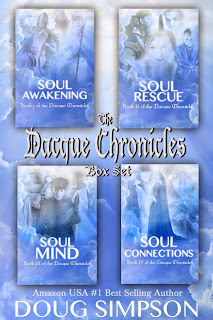 My next release, scheduled for January of 2016 by 5PP, is Abandoned Soul, Book V of The Dacque Chronicles. I am working on two non-fiction books, like my already published by 5PP, The Soul of Jesus, using the readings of the legendary American mystic, Edgar Cayce. One is an account of the past lives of over 500 people who experienced incarnations in Atlantis. The second one is currently titled Understanding Your Soul Group and it explains why groups of souls incarnate together over and over to work on past Karmic connections. The Soul of Jesus is my most recently published book. Excerpt from The Soul of Jesus. 12. Then the entity aided, so that all was in readiness, when in the evening - just before the sun in all its glory of the Palestine hills gave forth almost into the voice of nature, proclaiming the heralding of a new hope, a new birth to the earth, and the glorifying of man's hope in God - the specter of His Star in the evening sky brought awe and wonder to all that beheld. 13. And the entity, being anxious, gazed with wondering awe at that UNUSUAL experience to all, and wept with JOY of those unfoldments within self, of the emotions that made for the expectancy of glory surpassing what had been told of all the glories of her peoples in the days of old. 14. There the entity felt what may be very close akin to the experiences in self in the present - that a new light, a new vision, a new experience was BEING BORN in every atom of its being. 15. Then when it was known to the entity that the den, the cave, the stable had been occupied - Oh, the rush, Oh, the desire to be off to see what that experience might be, held the very being of the entity! 16. And as soon as its duties were cleared about the home, as the space was very near, the entity started. But as the entity walked into the open upon that Eve, the brightness of His Star came nearer and nearer. And the entity heard, even as the Shepherds, ‘PEACE on earth GOOD WILL to men.’ 17. There came again that awe, that feeling of a new creation, of a new experience, as the entity among those - only with the closer attendant of the Mother - hastened; while all the rabble, all the jeers of a world were stopped! It is times like this where I like to pause and reflect, and try to imagine how Mrs.1152 must have felt as she sat there and listened to the in-trance Edgar Cayce describe her close and personal association with Glory. ONLY DIGITAL and ONLY AVAILABLE ON AMAZON. Just when Olivia thought sheâd finally have everything she always wanted, she was never closer to losing it all. Haden rocked Oliviaâs foundation when he professed his love for her, and then turned himself in to the High Court. Although it was for the best, watching him walk out of her life was one of the hardest things sheâd ever done. 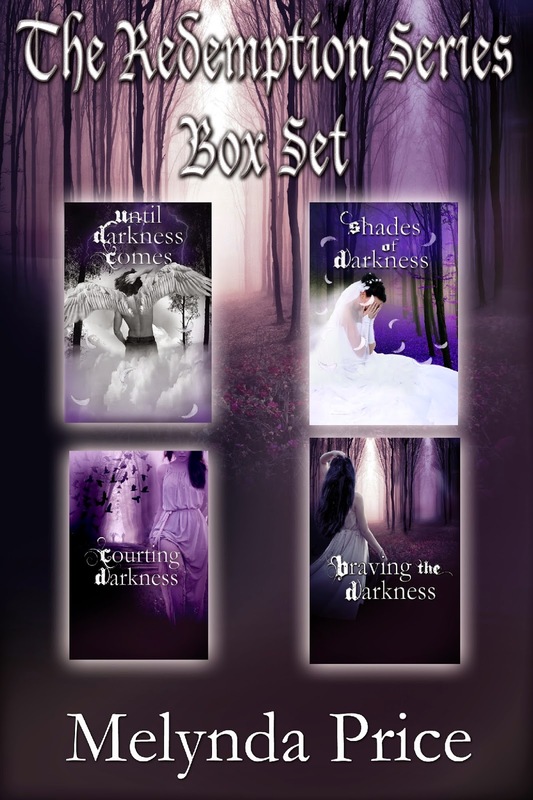 Bitter enemies in love with the same woman, Liam and Haden must put their differences aside to battle an evil whose reach is far greater than either of them ever imagined. It will take all their strength to protect Olivia from an enemy thatâs come to claim her and usher in a power-play to overthrow the High Court. 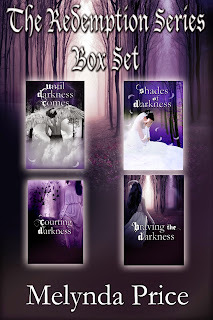 Love, sacrifice, and betrayalâ¦ It all comes to a heart-stopping conclusion in Braving the Darkness. War. Devotion. Deceit. Death. How long can a heart hold on before it breaks? Most women would carry on with their lives after being thrust into widowhood, but not Charlotte Adamsland. Upon learning that her husband, Captain Sanderson Redding, was killed in a botched escape from a Confederate prison in Illinois, she clings to his promise to return to her no matter what, and quickly heads north through a war-ravaged country with only her faith in God and her beloved horse to bring her Sanderson home - one way or another. 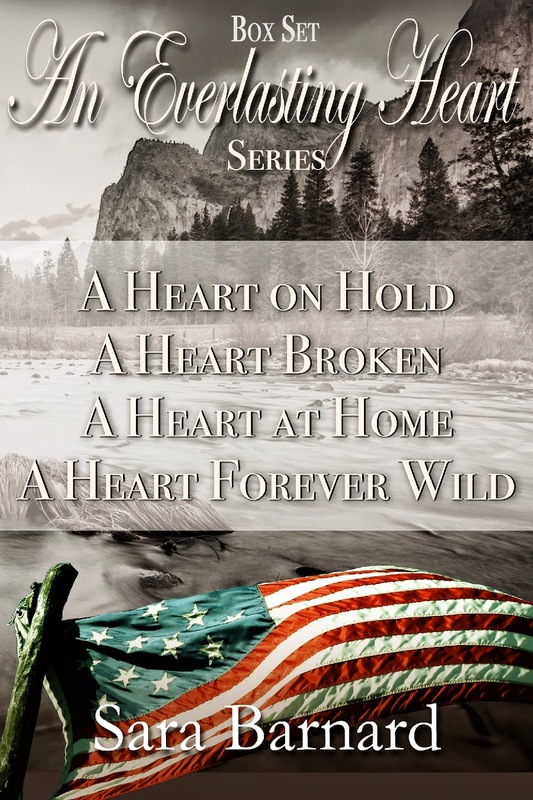 After the war is over and Sanderson is home, life is good ... until the Army comes knocking with a bloody ultimatum where Sanderson's freedom hangs in tandem with a man's life while Charlotte is left home, shattered with worry and left to handle a rash of rabies that threatens the entire countryside -- Sanderson included. 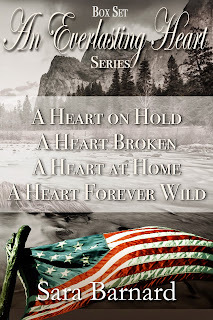 Can a love already tested to the limit survive on the trail to California as the peace Sanderson is trying to bridge between the Army and the Snake River Indians begins to fall apart and more importantly, when when all of their dreams come true, will Sanderson and Charlotte still have what started it all â their everlasting love? Dacque LaRose, a retired high school teacher, is your proverbial Good Samaritan. 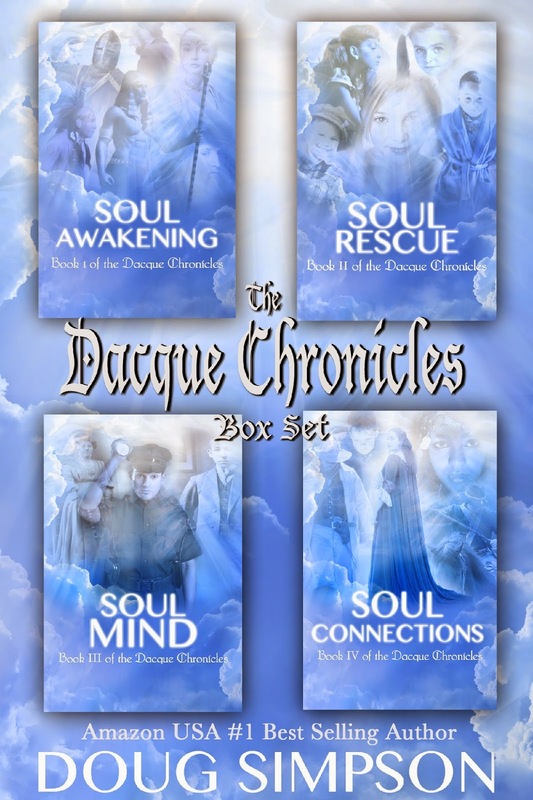 After the unfortunate passing of his wife, a visit from his wifeâs spirit and soul, in Soul Awakening, Book I of The Dacque Chronicles, propels Dacqueâs entire future in a new direction. Like most of us, he had never given much thought to survival of souls after the death of our bodies, but the visit from the spirit of his beloved caused him to commence a thorough investigation into survival of souls and their reincarnation in the future. Dacqueâs education did not stop there. With his new-found understanding of souls and his natural Good Samaritan instincts, the Heavenly Powers enlisted his services to assist them in guiding lost souls and misguided individuals in their intended direction. Robyn Fisher is a frustrated, busy, working mum and wife who feels that life is passing her by â that is until she meets charismatic psychologist, Jay Trethedick, at a weekend seminar. Despite the instant attraction, Robyn resists Jayâs advances only to surrender to temptation a week later and they begin an intense and passionate love affair. But when the lovers start taking increasingly dangerous risks, Robynâs husband discovers the truth and walks out, destroying Robynâs world. But the grass isnât always greener. After an attempt to start a new life with Jay, Robyn realises she has to take the biggest risk of all; choosing who to love and who to let go. 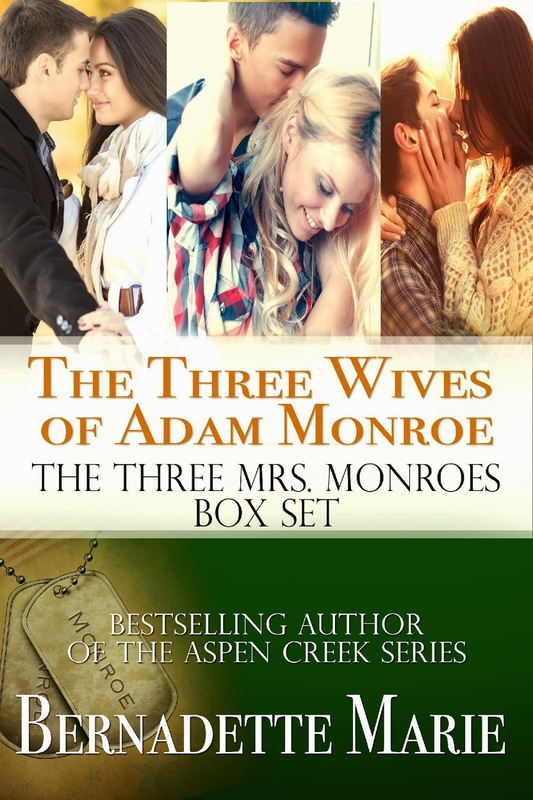 As sexual desire battles with real life and family, can she make the right choice? Thatâs exactly what wife and artist, Denizon Cartwright felt like doing. After deciding that she couldnât put up with her unfaithful husband any longer, she leaves him for smooth-talking artist and professor, Damien Johnson â but she soon learns sheâs swapped one liar for another and beats a hasty retreat â¦ only to become entangled with Jay, the ex-lover of her best friend, Robyn. Her escape route is at hand in the shape of Escuela de Montana dâArmentera, an artistic retreat high up in the Spanish mountains. But her problems only follow, as she discovers. Have you got a secret hidden so deep that thinking about it threatens to overwhelm you? Bethany Forrester and Denizon Cartwright are mother and daughter but they havenât seen each other for thirty five years. Not since Beth gave Denizon up for adoption when she was two days old. 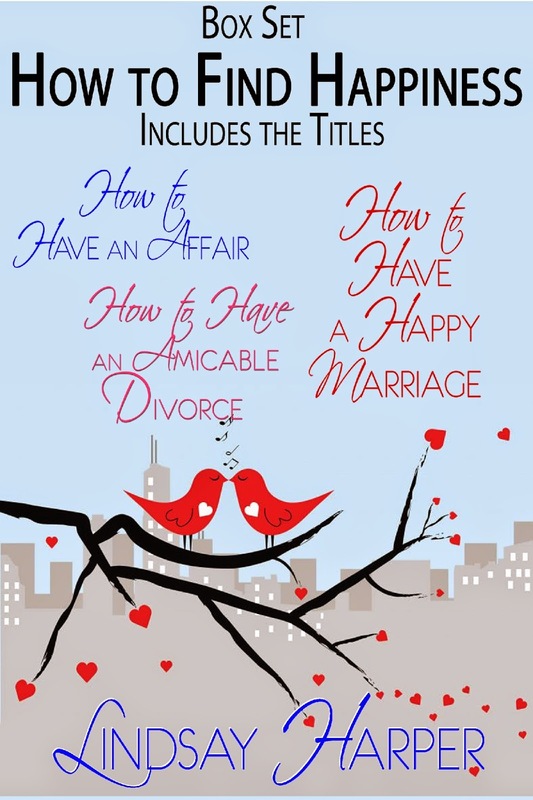 âHow to Have a Happy Marriageâ tells the story of how they find each other and their lives and loves along the way â from the stormy relationship between Beth and her husband to Denizonâs quest for true happiness and real love. We follow the ups and downs of the pair as they struggle to fit each other into their already complicated lives. Will it be a happy ending for either of them?